Every now and then you read a book and then spend the next few weeks suggesting it to everyone you know. “What Made Maddy Run” is one of those books. You may have heard of it; it was covered by various ESPN properties including this article on ESPNW, and author Kate Fagan was interviewed about the subject on NPR’s Fresh Air. It’s the story of a young Ivy League runner named Madison Holleran and her struggle adjusting to college that resulted in her taking her own life. It’s also an in-depth look at the “perfect world” that can be crafted on social media, the stress imposed on young adults, and a societal pressure to look happy. 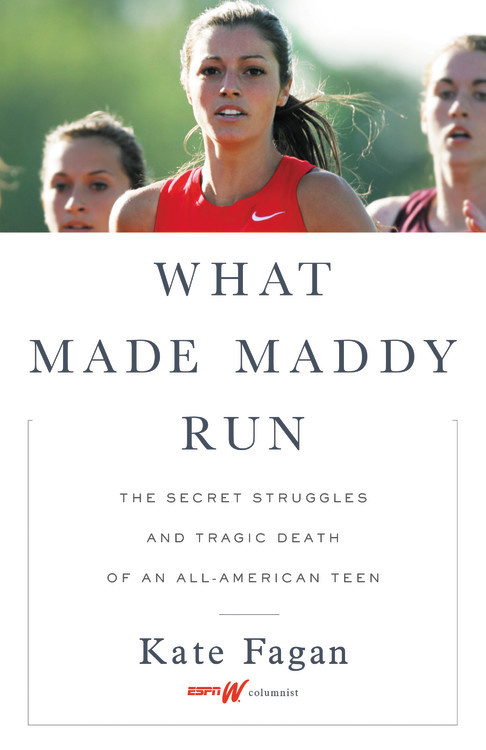 “What Made Maddy Run” is not a book about women’s sports. Madison happens to have been a female student-athlete, but similar stories could probably be written about a male basketball player, a transgender swimmer, or any young adult transitioning from a stable, secure home life where they are frequently lauded for being “great” to a new life where they’re just another face in the crowd – unhappy, and unsure about how or even what to feel. It’s a book about depression – which is more common that you might think – and about the stigma that keeps people who are seriously considering ending their own life from reaching out for help. If you have kids, or if you experience depression, I highly suggest you read this book. It could help someone you love, including you. Madison Holleran was a competitive runner and soccer player, a friendly, academically successful, and popular high school student, and one of five much-loved children that grew up in a stable, supportive family. She was recruited by Division I coaches in both her sports, and ultimately chose to run for the University of Pennsylvania. She was excited about what lay ahead in her college years, like many students leaving home to be “on their own” for the first time. But when school started, Madison struggled. Even though she was doing well in her classes and as a freshman runner for the cross-country team, she was profoundly unhappy. She didn’t avoid the issue – she talked to her family, her friends, and her coaches, but she didn’t tell them exactly how much she was hurting. She tried talking to a counselor, and was making plans to change her situation, but in the end, she made a different choice. This is a book that will make you think. I’ve actually been thinking about what I wanted to say about the book for weeks, because it’s the kind of book that could literally save a life. Every couple of pages, I had to close the book and study Madison’s photo on the jacket – ironic that I was trying to find reason in a picture of Madison when the book explores the way that photos, carefully filtered, are used by many experiencing depression to make their life look perfect on social media. In this picture, she looks like the picture of health: mid-race, focused, and tough. The book was important to me because in many ways, Madison was essentially me (although a much better athlete), 20 years younger. I sailed through high school with good grades, was in National Honor Society, sports, the band, the orchestra, on student council, and had many amazing friends. I came from a “normal” family, lived in a safe, stable home, and didn’t really want for anything. At college, I became a Division I athlete and struggled with a coach who, in hindsight, I now understand was dealing with his own emotional issues. But this was all before facebook, prior to Instagram, before there was pressure to always be beautiful, clever, and adventurous. I never felt like I had to be happy for people who were only tangentially part of my life. Thanks to social media, whether you’re a competitive collegiate athlete, a regular runner who aims for age group awards, or someone just trying to run 2 miles without stopping, there is pressure always be on your game. Athletic gear is adorned with messages like, “KNOW PAIN KNOW GAIN” or, “It’s okay, if you keep practicing you might beat me someday” that represent an attitude that unless you’re winning, you’re wasting your time. “What Made Maddy Run” made me realize that I should never assume that my friends are okay. I’m working on being more empathetic and sending personal messages, planning running dates, and just checking in from time to time. When a friend recently went through a bad breakup, I didn’t hesitate to ask them if they’d thought about hurting themselves or ending their life. The friend actually thanked me for asking and told me that they’d been talking to a counselor. 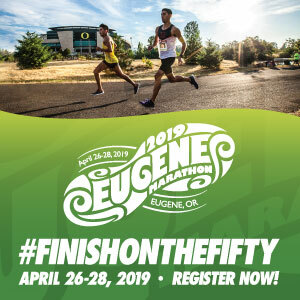 I realize this is very different from Run Oregon’s usual book reviews – yes, Madison Holleran was a runner, but the book isn’t about running. Find it at your local library or order it online here for about $14 for an e-book or hardcover starting around $17. And if you’re in Oregon and need someone to talk to, Oregon Youth Line is a free, confidential crisis line you can call, trained to talk with teens about anything that they need to help figure out. Additional suicide resources are listed by the Oregon Health Authority here. 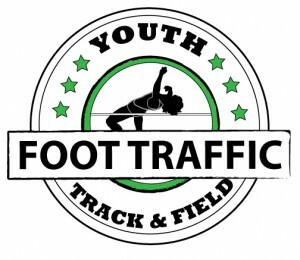 I started the Run Oregon blog in February 2007, because I felt like running in Oregon and SW Washington deserved more positive coverage. I also wanted to level the playing field so that small, non-profit races could compete with big events; and to support LOCAL race organizers. I'm a Creighton Bluejay (undergrad) and an Oregon Duck (Sports Marketing MBA), and I live in Tigard with my husband and two kids. My "real job" is working for an incredibly awesome math textbook company doing marketing and production.